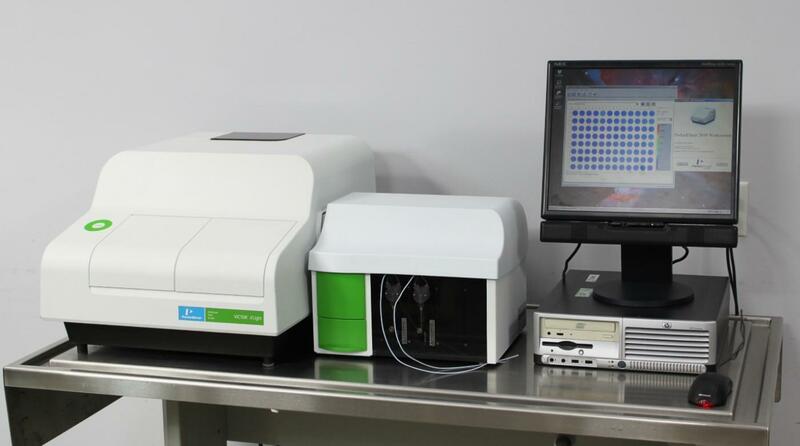 Perkin Elmer 2030 VICTOR X Light Luminescence Plate Reader w/ Dispenser Sipper . New Life Scientific, Inc.
Mfg 2013. Fully-functional. PC w/ Software. Warranty. luminescence flash and glow detection on your samples. panel was replaced with a clear piece. of these liquid handling instruments. have been checked and the dispenser syringe pumps confirmed functional. reagents to start the process in flash luminescence or to start and stop an enzyme reaction. technicians who inspect, test, service, and repair the various instruments we receive. After examination and thorough cleaning, products often leave our shop meeting manufacturer specs. goes wrong, our in-house support is only a phone call away.